"He has big antlers, runs fast on hoofed feet, and likes to eat plants." "Who's that?" Is it a polar bear? A seal? No it's a reindeer! 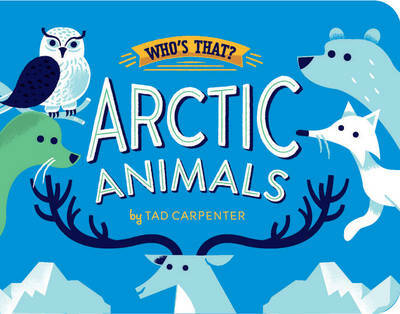 Children will love guessing which arctic animal they'll find beneath the flap, including a walrus, fox, and snowy owl. A final spread features all the creatures included in the book having a polar party."